Total Disruption = Disruption Duration + Concentration Regaining. I’m not telling you to avoid those disruptions: it is quite normal to have a client phoning in and asking questions or a colleague asking you via email about some project error. What seems to bother us here is the task attrition rate. In order to limit for as much as possible disruption agents, I use the “Pomodoro” technique. Everyone knows this small kitchen timer frequently in the shape as an egg, a tomato or of a hen that you usually wind up so that it rings out after the cooking time of a dish is up. The solution is as simple as cooking your soft-boiled eggs. 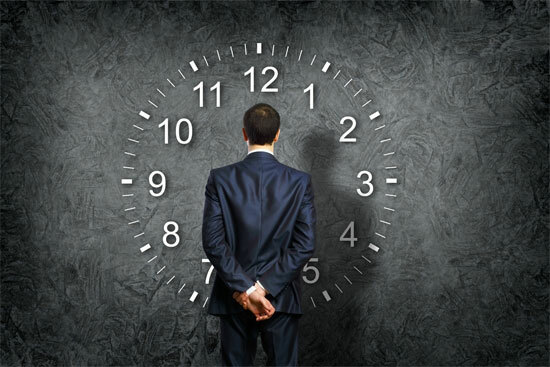 Allot specific time intervals for all your tasks and stick to it. Quite often, it is recommended to use 25 minutes per task, but you are nonetheless free to decrease or increase this unit. During all this time, you will sign out your online messenger; turn off your phone and any other device while you dig deep into your task. At the end of those 25-minutes interval, you may answer your emails and return your phone calls, and then start another interval of 25 minutes when you are ready for it. Obviously, in case you finish work after 21 minutes, you are free to end the allotted interval or increase it to 30 so that you are able to finish it. It’s also useful to have short regular breaks such as having a drink break, or getting up from the desk and walking around every 3 work intervals. Do more and have fun, this is what promises the Pomodoro technique. Beware however, this technique does not obviously apply to all jobs and it won’t certainly do for the switchboard operators in a help-desk service or for pole climbers. Nevertheless, any job that generally implies focusing on specific tasks (i.e. engineers, architects, painters etc.) may benefit from this technique. The complete eradication of concentration regaining time is a utopia. 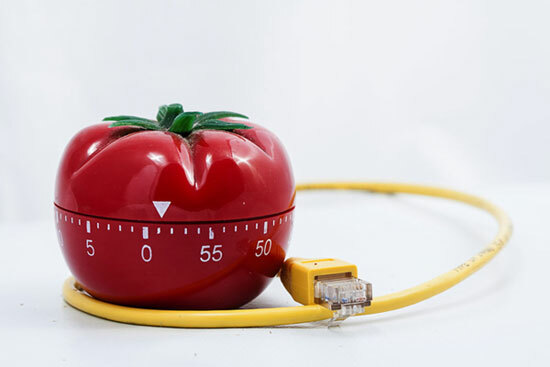 However, by using the Pomodoro technique, checking your online messenger is up to you when you have finished a specific task, and thus you are highly decreasing the regain of concentration. Why do you always find yourself flooded with work? It’s most certainly because you are the friendly and professional type, the tireless professional who never says no to anything and who is known for somehow managing good results for all projects, more often than not at great cost. Naturally, taking “no” for an answer in a professional environment is a sensitive subject, yet it is high time you learned how to say “no”. It’s not common procedure to refuse your manager; nevertheless, there are more subtle ways to do that than snapping the obvious “No, I will not do it”. “I believe that X task has a low return on investment and might endanger the delivery of tasks Y and Z which are much more significant and relevant to the company and which already take 100% of my time (if not more)”. “I would gladly perform task X, but I have to postpone some other tasks. Is task X a priority action as compared to the rest? Which one may be stopped?” Obviously, you may use terms like “project”, “work” or “responsibility” instead of “task”. – Best Practices to improve your time management.